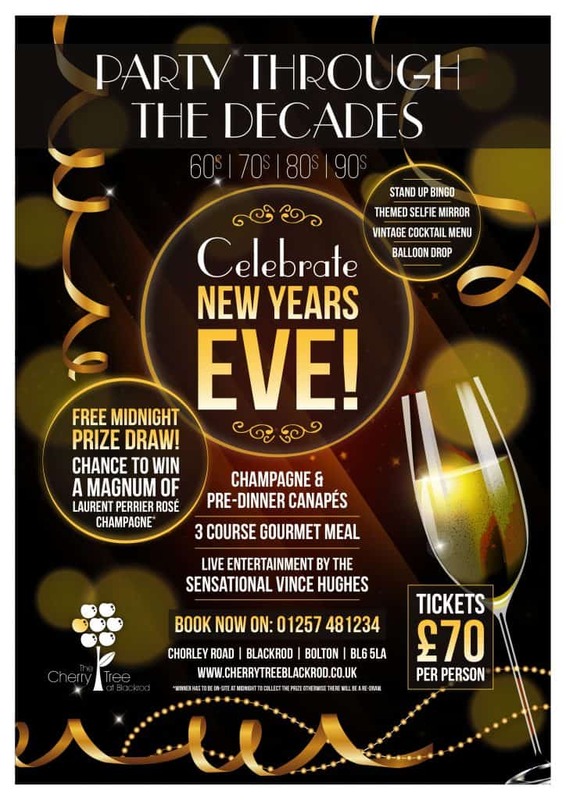 Celebrate New Year’s Eve in Blackrod with The Cherry Tree. Join us for New Year’s Eve in Blackrod to bring 2019 in with style. Our event promises to be our best yet! Tickets £70 per person including Champagne and canapes on arrival and 3-course gourmet meal.